I've been an official Hamiltonian since February when we moved into the old general store, but I never truly felt one with the Hammer folk until September's annual Supercrawl. I must begin by expressing my love for Hamilton - I have long been a fan of this city and the people in it. I have fostered many relationships at the Ben Thanh, enriched my life through programming at Cathedral Place on James St N, and the monthly art crawls are always on my calendar. The city is full of life and love, excitement, entertainment and best of all, art. "Art is the new steel!" they say of Hamilton, ON. Once the home to a booming steel industry, the city is now a hub of arts culture and events, live music, street performance and craft beer. It is home to hundreds of galleries, vintage clothing shops and specialty food stores that sell cupcakes, organic goods and vegan smoothies. 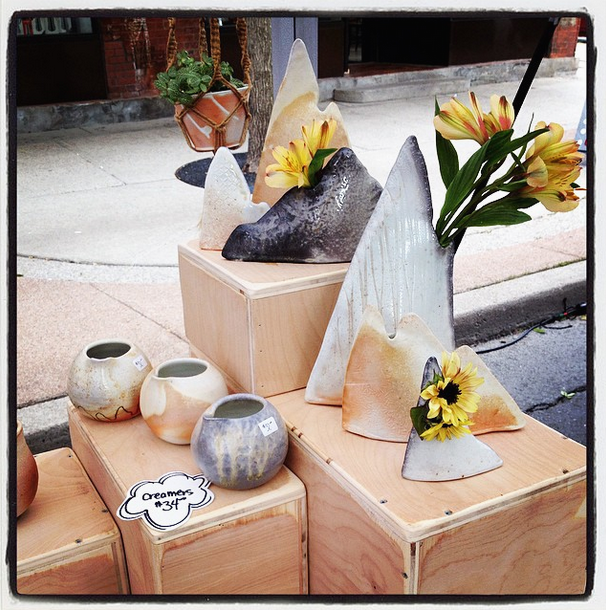 Every month James St N hosts an art "crawl" where the studio artists open their doors to the public, galleries put on sweet spreads, buskers serenade the passersby and vendors spread their wares across picnic blankets. In September, the street completely shuts down to host Supercrawl, a weekend long crawl that brings in traffic from across Ontario. This is the crawl of all crawls. Art is hung on every alleyway wall, fences are decorated with chalk art and graffiti murals, large installations take up intersections and at night there are acrobats riding giant tricycles that shoot flames into the sky. Over 150,000 people descended up downtown Hamilton to share the experience. I had a booth this year, to start my relationship with the city as a TRUE Hamiltonian. The feedback from the crowds was excellent, the weather (if chilly) was merciful, and I even got to play some music with my band inside the beautiful Cathedral. 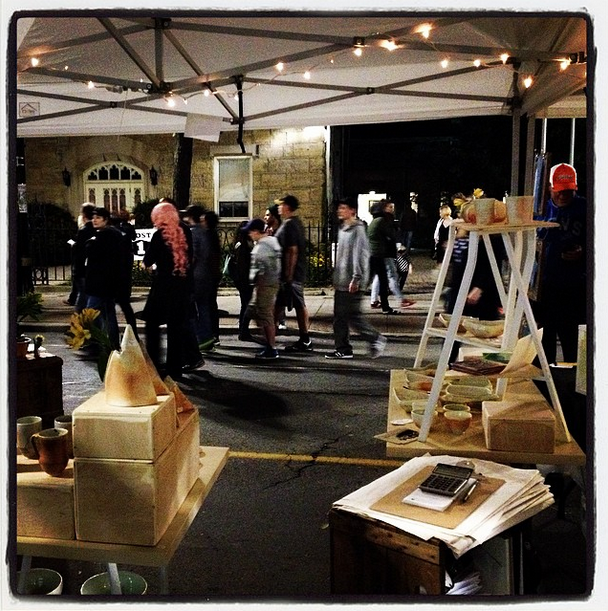 Thanks to everyone who helped make Supercrawl an enjoyable and successful event!